Kyle Busch swept the Nascar weekend in Phoenix. Busch won the Cup Series race Sunday and the X-finity Series race Saturday. He now has 199 victories across the top three Nascar Series. Martin Truex, Jr. was the runner-up, followed by Ryan Blaney. The drivers head to California this weekend. 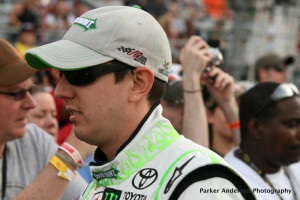 The post Kyle Busch sweeps Phoenix appeared first on ButlerRadio.com – Butler, PA .